I cannot believe it is December. The journey that I have started on this blog is almost a year old. I am quite impressed with myself that I have been able to keep this up for so long. The past 3 blogs I have had have all crashed and burned due to inactivity. I know I flirt with inactivity on this particular one, but sometimes I have nothing of value to say…or so I think. I have made it to what seems to be the final lap of the year. Usually December represents a time for reflection of the past year and allows me to think about what I should be doing next year. While I while the process of reflection for me is yet to begin, I do know there are certain changes I need to make for myself in 2010. I do listen to what people tell me and with the desire to constantly improve myself I have come up with somethings that I think I will need to do next year. The job search will intensify next month and since I have already been turned down twice, I think I need to makes some changes in the social media portion of my life. I am thinking of making all my interactions on Twitter private. I am thinking about making my Facebook profile private as well. While I will keep this blog open, I will make certain changes that will make it difficult to search my real name. All these changes are temporary but necessary. I do not need any potential employer to think I am emotionally unstable based on my writings and interactions. Personally, I do think I am, but perception is reality to many. I have been mulling this over for the last week or so and I wasn’t really sure what I was going to do until I had a dream. While I do not remember the full details of this dream, I do remember that it was raining very hard. I was outside in the rain for whatever and clearly I got soaked. When I woke up, I remember think that this was the first time I have ever remembered being in rain. I thought I would take some time to see what rain in my dream could mean. Thanks the good people at Dream Moods, I was able to come up with this: To dream that you get wet from the rain, indicates cleansing from your troubles and problems. 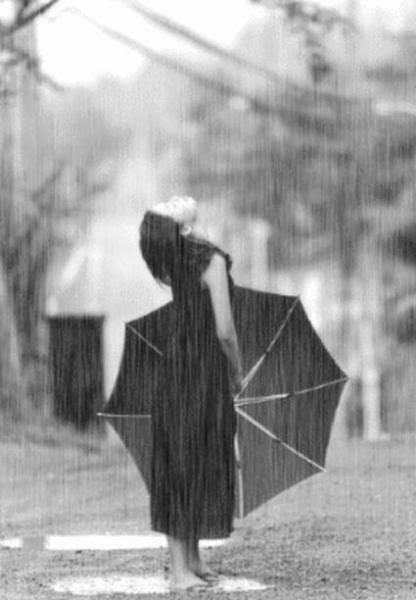 Rain also symbolizes fertility and renewal. I have said before that I have had an awakening of sorts over the last few weeks. So the idea of being cleansed makes sense. My stresses are not what they once were and I feel that I ready to do big things with myself. I am indeed looking for a renewal and I am very confident that I will achieve that. Wow! how inspiring. I love your writing. You must start that book NOW. Yeah, take those measures. In this Google-crazy world, it is definitely necessary. Wishing you the best in the job search.